Facial aging affects each individual differently, which is why Los Angeles board-certified plastic surgeon Christine Petti, MD offers such a wide selection of procedures for facial rejuvenation. Dr. Petti customizes rejuvenation of the cheeks and can discuss a combination of non-surgical and surgical options. Non-surgical options include dermal fillers, Vivace™ radio frequency microneedling, SmartSkin CO2™ laser skin resurfacing, FotoFacials™, laser genesis, and organic skin care. Surgical treatments may include laser-assisted techniques and other surgical approaches she has customized for natural-looking results. For patients who require a lift to smooth and reposition the cheeks, Dr. Petti can perform a cheek lift, or a combination of facial plastic surgery procedures, to achieve youthful, natural-looking results. Attaining a refreshed appearance begins with a consultation, during which Dr. Petti performs a full evaluation of your face and listens intently to your cosmetic goals and concerns. With your unique needs and desires in mind, she can develop a customized treatment strategy designed to help you look and feel your very best. If you are noticing signs of aging along your face and want to find out how Dr. Petti can help you look more youthful, contact our office to schedule a consultation. What are the Benefits of a Cheek Lift? Cheek lift surgery is often combined with other facial plastic surgery procedures and non-surgical treatments to achieve comprehensive rejuvenation. Dr. Petti often recommends that cheek lift surgery be performed along with a brow lift, eyelid lift, facelift, and/or neck lift, as well as with injectable treatments such as BOTOX® Cosmetic, KYBELLA®, and/or dermal fillers. The procedures and treatments she suggests are aimed at reducing key signs of facial aging for optimal overall improvement. Who is a Candidate for Cheek Lift Surgery? Patients who are good candidates for cheek lift surgery are in good health and have reasonable expectations about the outcome of the procedure. Typically, cheek lift candidates are over the age of 30 and are experiencing mild to moderate skin and tissue laxity in the midface region. The first step toward finding out if cheek lift surgery is right for you is scheduling a one-on-one consultation with Dr. Petti. During the consultation, she is attentive to your concerns and goals and works together with you to formulate a treatment strategy that meets your needs. Her vast experience and expertise in facial rejuvenation helps her identify the right approach for creating satisfying results that look beautiful and natural. What Happens during Cheek Lift Surgery? The precise details of your cheek lift surgery will depend upon the customized approach Dr. Petti has planned for meeting your unique needs. Cheek lift surgery does require anesthesia and is typically performed on an outpatient basis in our surgical center. Through inconspicuous incisions made within the hairline, Dr. Petti can lift and secure sagging connective tissue and elevate the fatty tissue of the cheeks to a more youthful position that is in harmony with the cheekbones. If aging has caused facial fat to diminish, Dr. Petti may use dermal fillers in conjunction with the cheek lift to create smooth cheek contours. For patients with hollowing and stretched tissue beneath the eyes, Dr. Petti can reposition tissue and fat under the eye to create a smoother look. In some cases involving excess tissue below the eyes, she may combine cheek lift with lower blepharoplasty to fully rejuvenate the upper cheek and lower eye area. Dermal fillers may also be used to help smooth under-eye hollows when fat is no longer available to reposition. Once the procedure is complete, your face is carefully dressed with a head wrap, which is usually removed within one to two days. 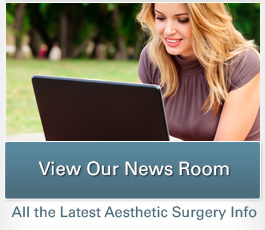 What Can I Expect during Recovery from Cheek Lift Surgery? After your surgery, it is imperative to closely follow Dr. Petti’s post-operative instructions and attend all follow-up appointments. The length of recovery can vary and largely depends on your individual rate of healing and any other procedures that may have been performed in conjunction with your cheek lift, such as a facelift and/or neck lift. Prior to your surgery, Dr. Petti can give you an approximation of how long you can expect to be away from work and the length of time it will take before your full results will be revealed. Swelling and bruising are common right after surgery and diminish quickly with proper care and rest. What are the Results of Cheek Lift Surgery? Dr. Petti’s patients who have undergone cheek lift as a single procedure or as part of a full facial rejuvenation plan are typically thrilled with their results. The midface and lower cheek area appear smoother, and the fullness of the cheeks is lifted, creating more youthful contours. Her experience, surgical skill, and keen aesthetic eye can help patients attain a rejuvenated facial appearance that looks natural instead of overly “done.” Patients who choose Dr. Petti for one procedure often continue to rely on her for their surgical and non-surgical cosmetic needs in the future. 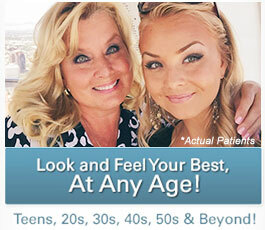 She is renowned both locally and nationally for her high quality patient care and consistently outstanding results. If you want to find out if facial plastic surgery can address your visible signs of aging, we encourage you to contact our office to schedule a consultation with Dr. Petti.